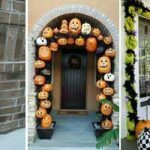 Keep costs down for fright night and decorate your home on a budget with these Dollar Store Halloween Decorations. 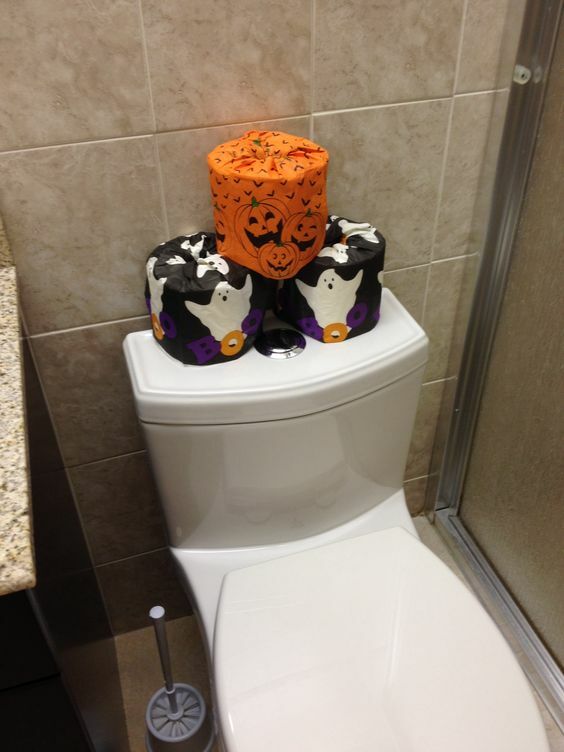 A clever way to decorate your toilet paper is to use napkins to wrap them up which will make your toilet look great for a party. 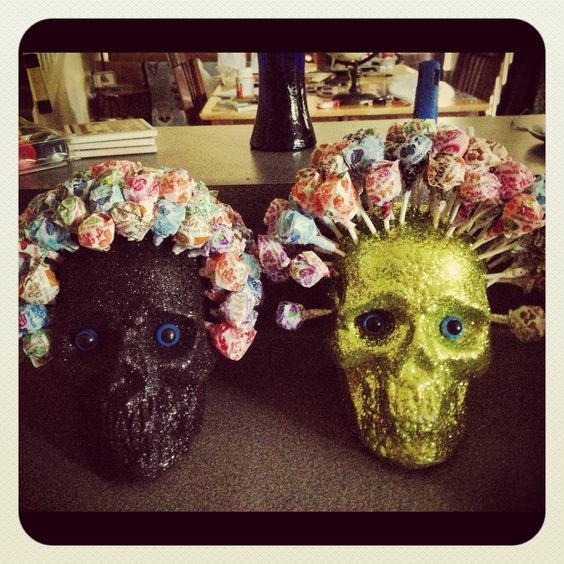 What a great way to display your trick or treat candy on a dollar store skull. 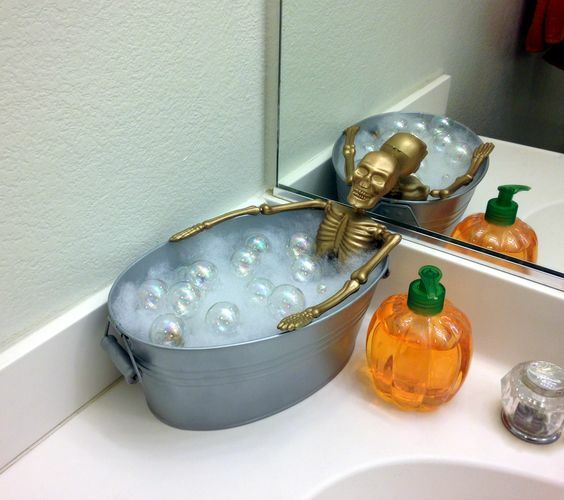 These spooky floting hats are simple to make with just a few supplies. 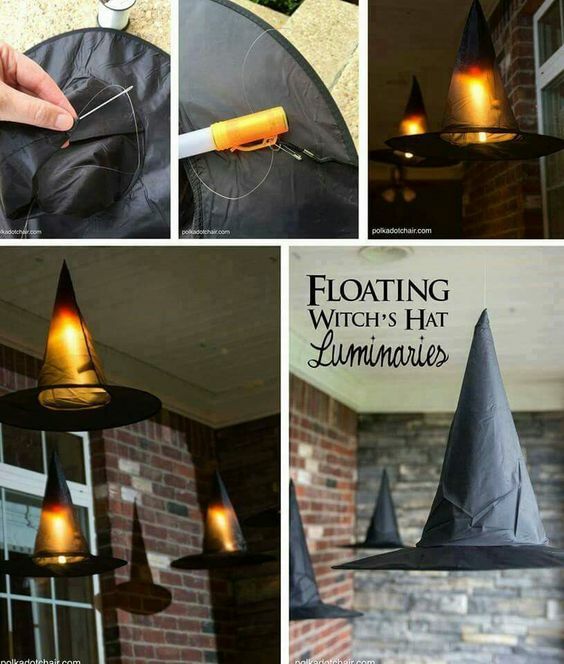 A witches hat and a battery operated tea light. 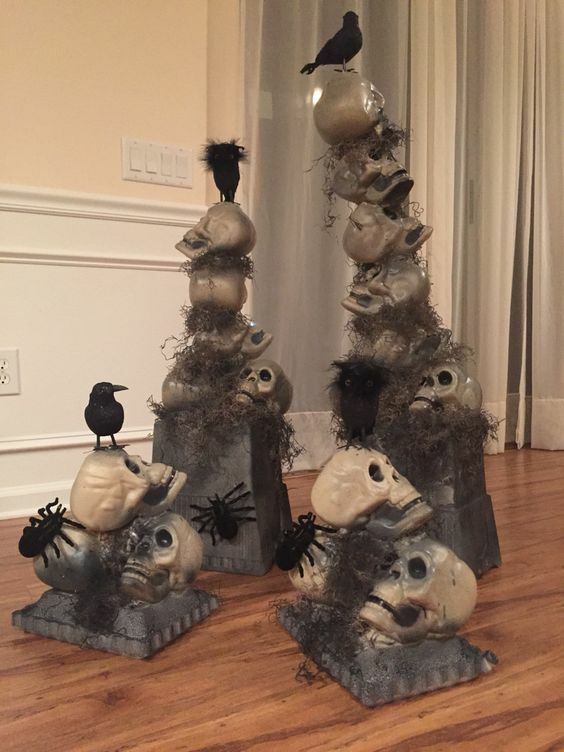 These trophies will come in handy for favors or prizes for costumes. 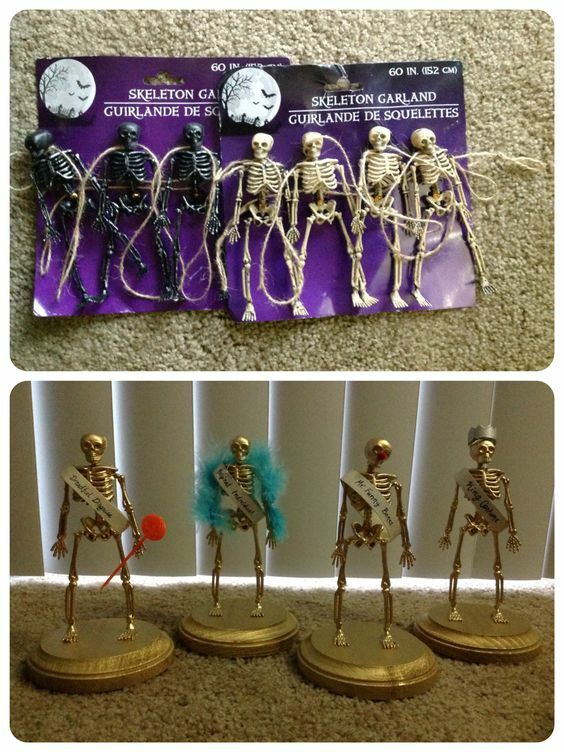 Make them from dollar store skeletons, wood plaques, spray paint, glue, and sections of toilet paper rolls as the sashes. 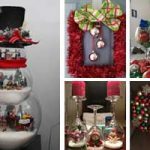 Don’t go with an ordinary wreath when you can make your own square one. 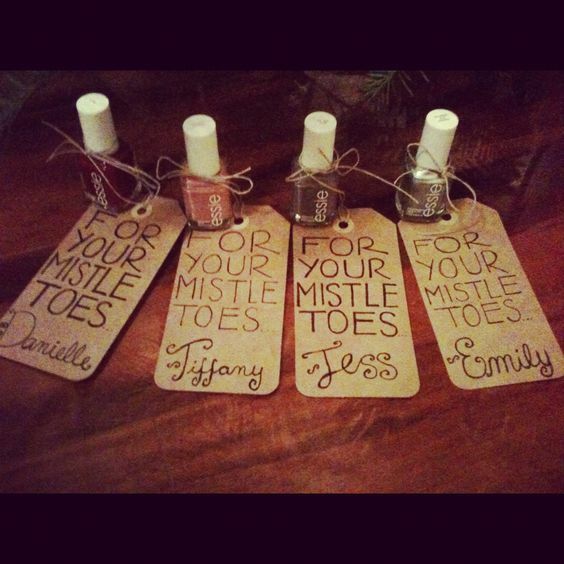 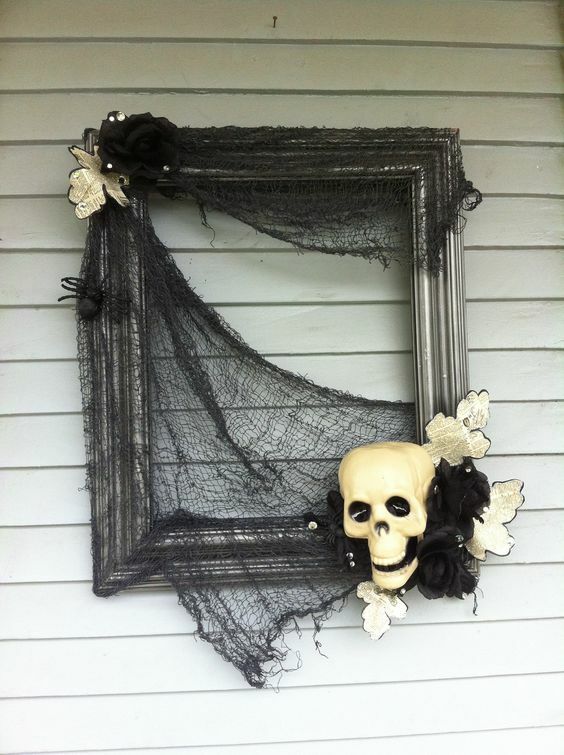 Upcycle an old frame and some dollar store decorations to recreate this idea. 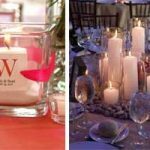 These towers will look great placed strategically around the house. 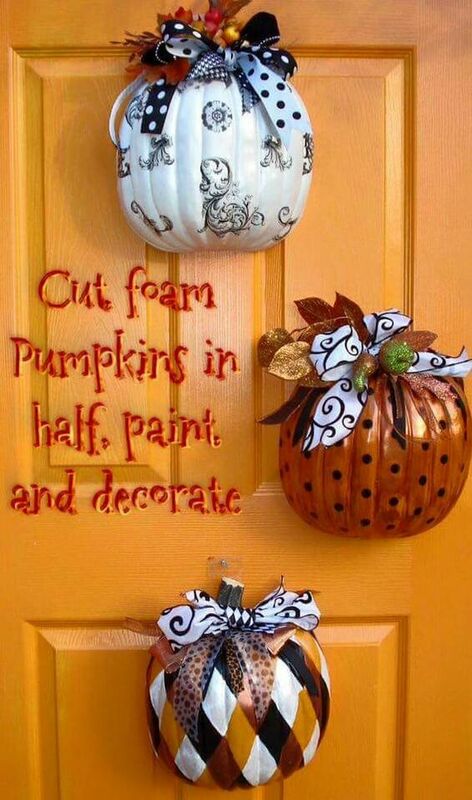 For a great door decoration, cut foam pumpkins in half. 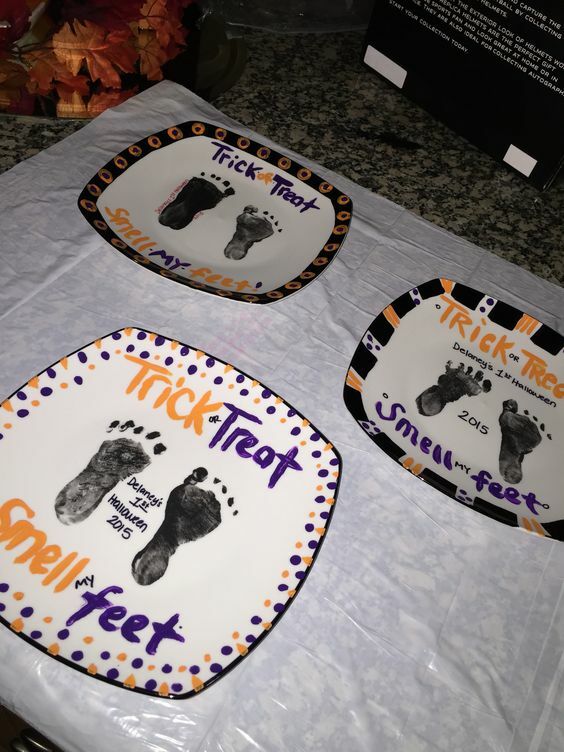 This dollar store craft is perfect for Baby’s first Halloween and will look great to offer your candy on fright night. 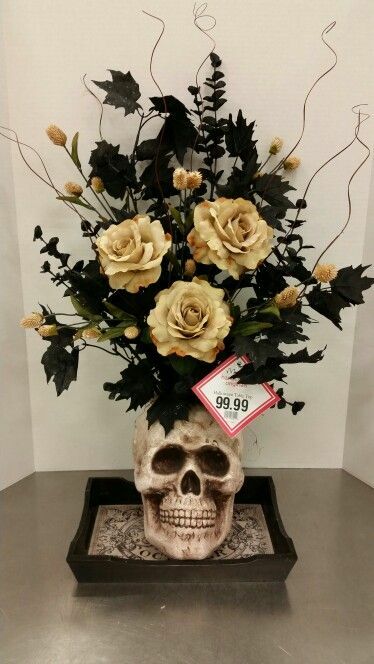 Use a skull as a vase to pop some nice flowers in to keep the place smelling fresh on the night. 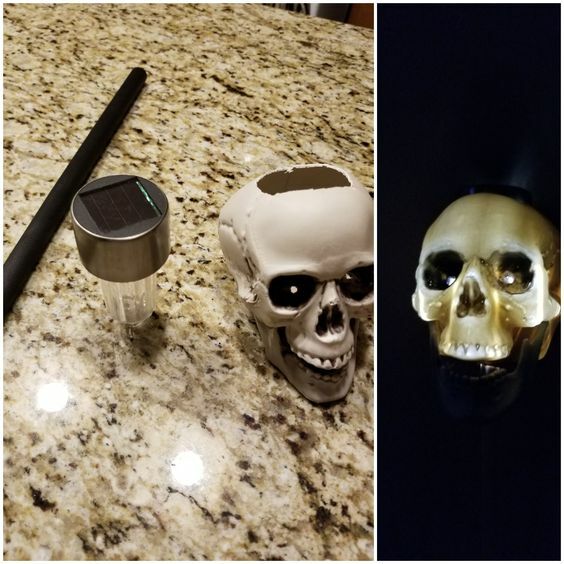 Use a dollar store skull, solar light and a dowel spray painted black a place along your walkway to light the way for eager trick or treaters. 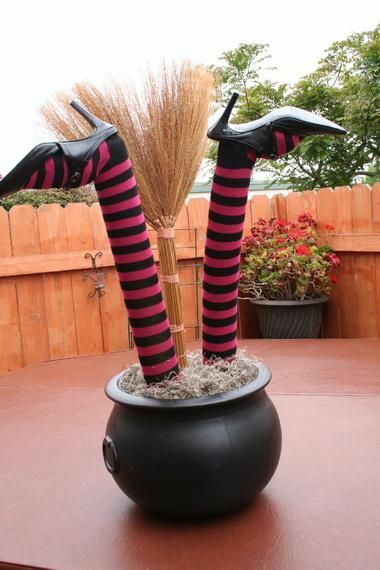 Looks like this witch has fallen off her broom! 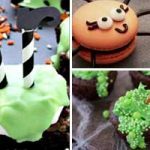 To make this you’ll need a cauldron, knee socks , pool noodles, a broom and shoes. 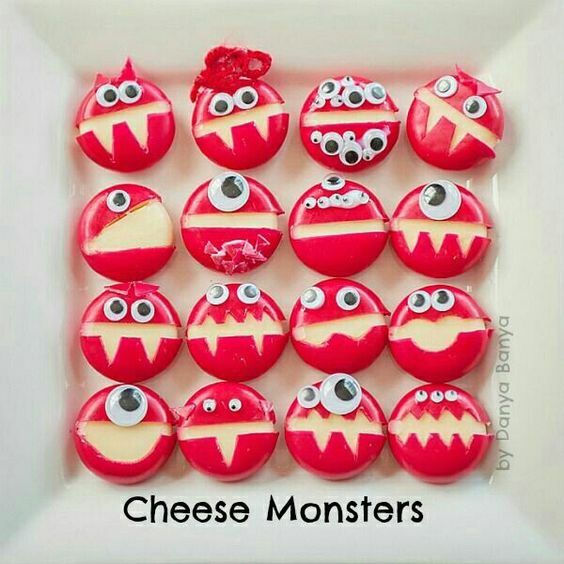 Pop some rocks in the bottom to stabilize.